Classic military design for camping out in the boonies. 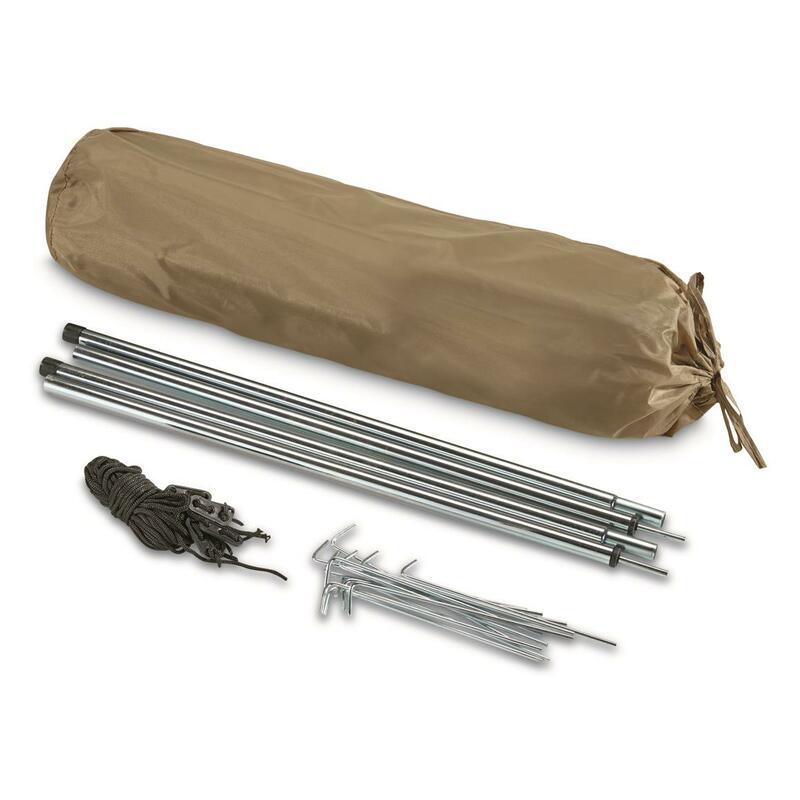 Measures 80" x 58" x 40"
The perfect tent for your next trek into nature. 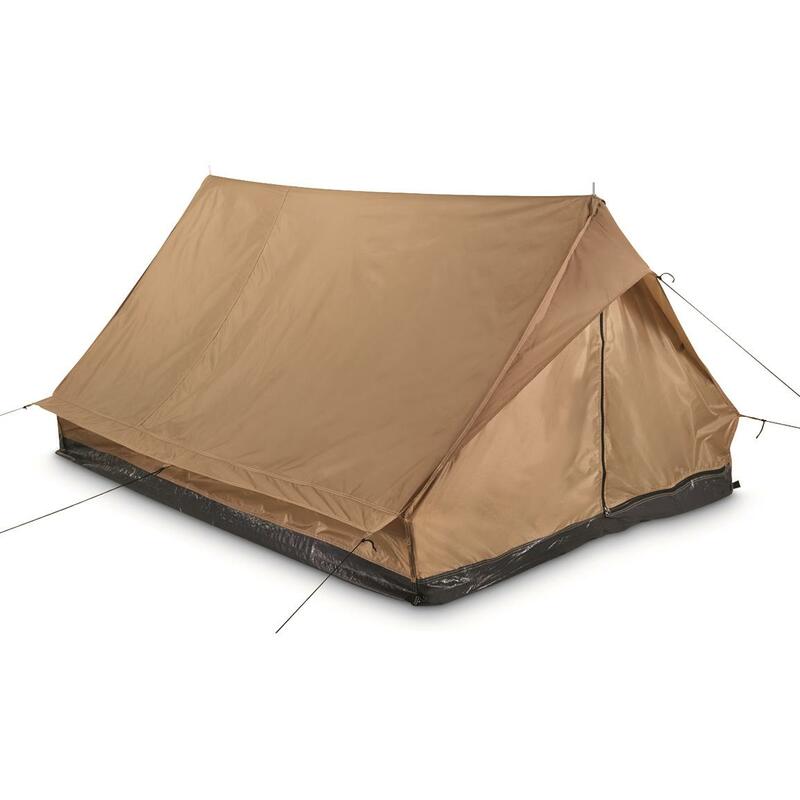 Inspired by the Classic A-Frame pup tent, but this one has a door that zips closed, unlike its military counterpart. Offers nostalgic appeal, plus easy setup. An affordable option to shelter yourself from rain and wind. Dimensions: 80" x 58" x 40"